Heavy rainfall: the new normal in Drenthe? Some areas of the province of Drenthe saw as much rain on Sunday as they normally get in a month. RTV Drenthe reports that weather watchers at Noorderweer say that such extreme rainfalls are likely to become the new normal in the province due to climate change. Rainfall totals varied significantly across the province: De Wijk only got 5 millimetres of rain, but Klijndijk got 67 millimeters, which is more than the average for the entire month of May. “Earth is projected to continue getting warmer over the next 50 years, so we can expect this kind of weather to happen more regularly. 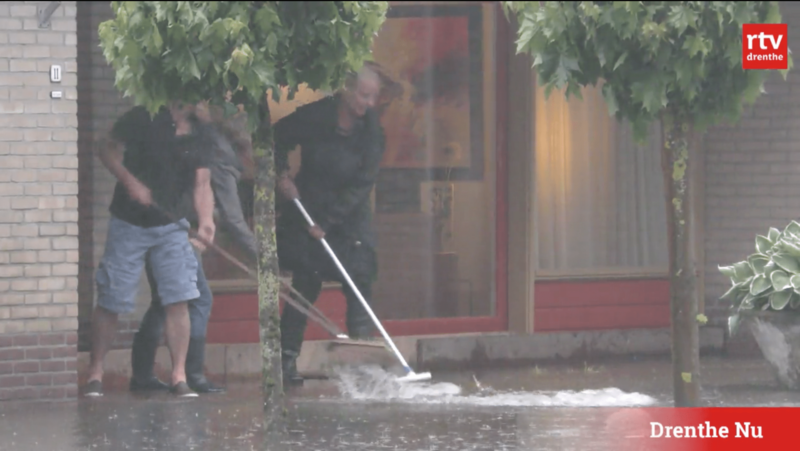 On average, any given town in the Netherlands will be impacted by a cloudburst about four times in a decade”, according to the weather bureau.